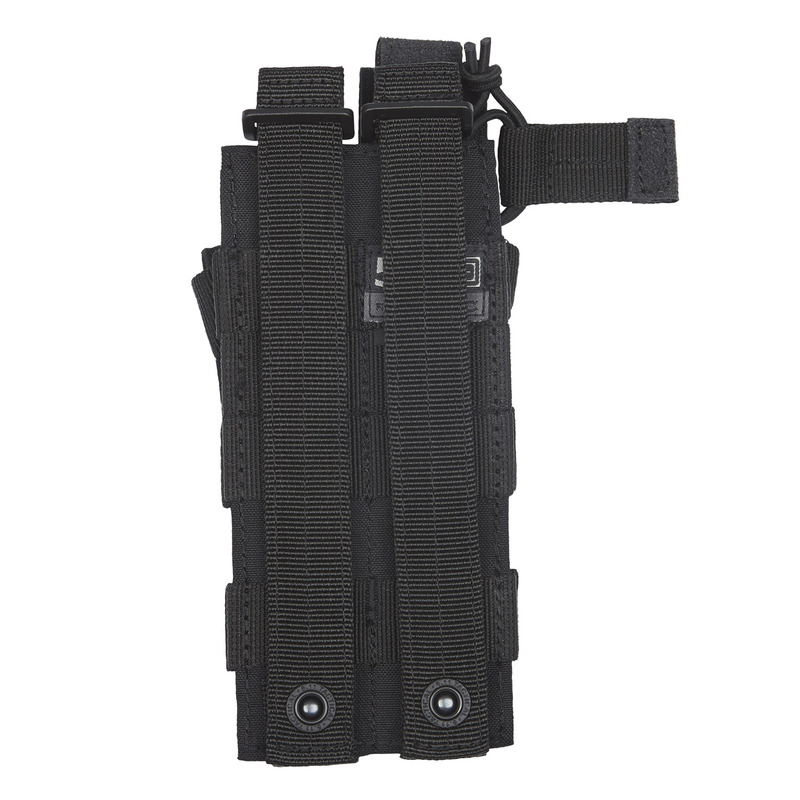 The MP5 Bungee/Cover Double-LX is MOLLE compatible, meaning you can customize it for any tactical task. Capacity for two standard 9mm magazines, this provides a convenient and secure storage solution in a modular profile. 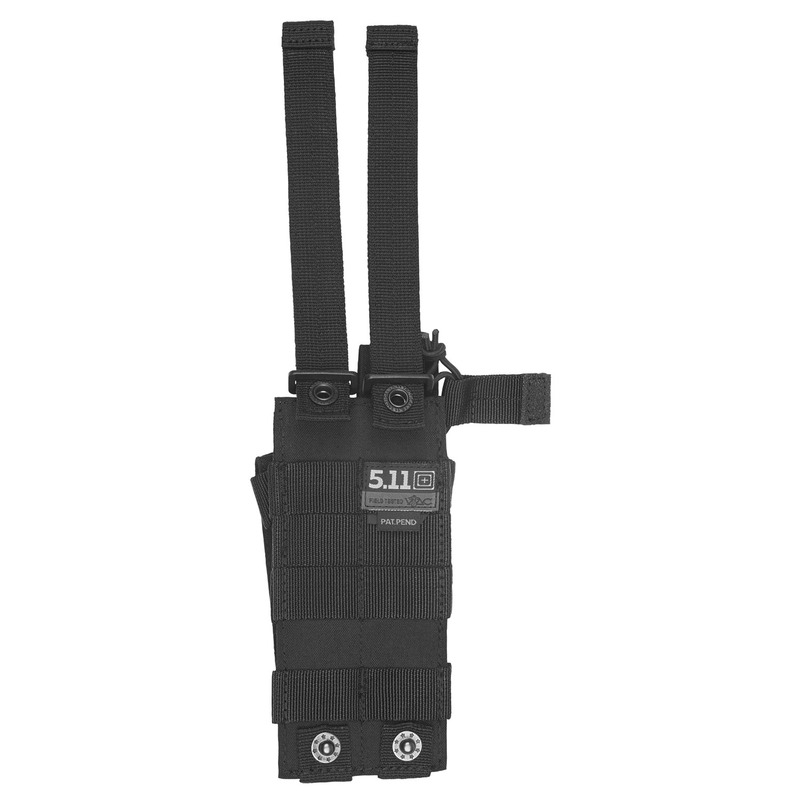 You can even stack with other 5.11 cover pouches. Select your desired retention method with traditional cover flap and bungee cord systems. 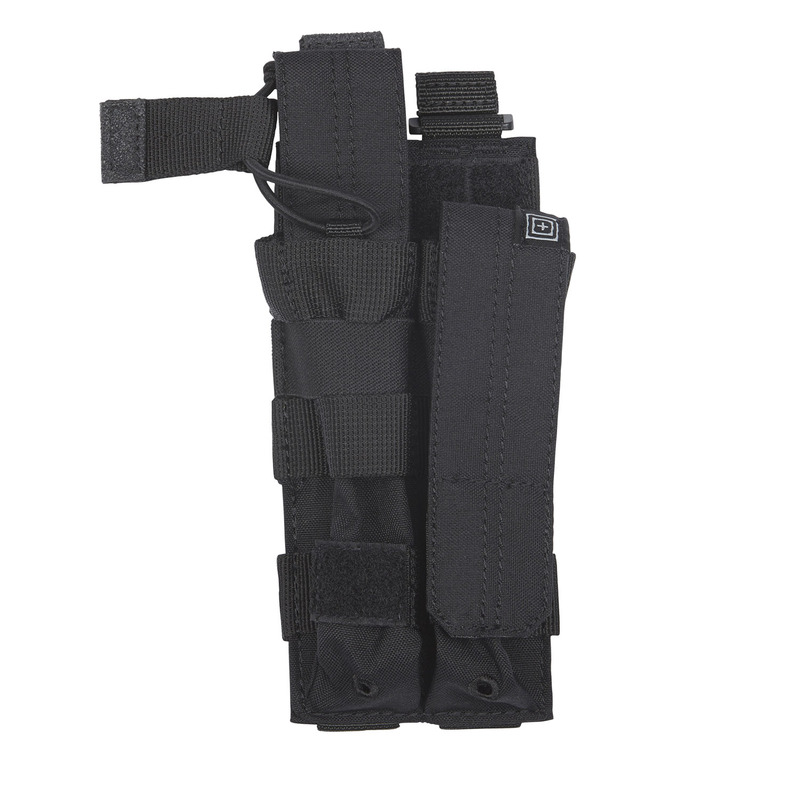 Integrated elastic compression guarantees secure, stealthy use. Built with Duraflex® hardware for dependable operation and a water-repellant coating to repel moisture and soil.